Budget properties in London is not a myth, such an option can be purchased by selecting residential buildings in east London. It is a kind of industrial area with mostly English-speaking population neighbourhoods. In East London the entire neighborhoods with typical bedroom apartments were built, which have a greater similarity with the French suburb housing. The city center is in 1 hour drive approximately, and that’s one of the main factors affecting the overall cost of the apartment. To date, one-bedroom apartments in the area can be bought for £180,000, while the two bedroom options start from £220,000. However, this is not the final price – more less significant expenses may be associated with property condition evaluation, legal services (all the deals are made through conveyance solicitors) and other aspects should be taken into account. 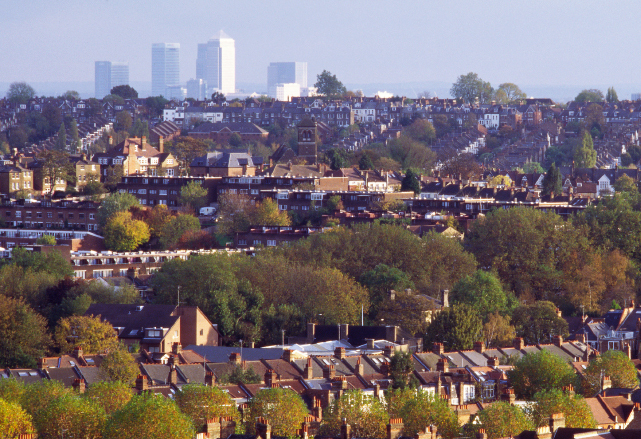 Many investors purchase the entire buildings with small-sized rooms in the suburban parts of London for recoupment through the rent, allowing to gather around 3 – 5% (at the time of 2014). Another category of buyers – the parents of students and students of London universities in need of proper housing. About 60% of transactions in the budget flats was recorded to parents or close relatives. Moreover, even in spite of the relatively low cost of such apartments they are constantly increasing in their cost. The owners of such apartments are able to bring up to 7% of annual income when making a transaction on resale. However, both, who invest their own money in real estate capital of the UK, make up a large percentage of buyers of luxury real estate in London. According to Knight Frank statistics, the property objects priced at £1.5 – 2ml are primarily acquired by CIS residents. The price for luxury apartments and townhouses located in the fashionable districts of the capital, which are close to the center, the so-called, Prime Central London, start from £5ml. Thus, for example, a 3 bedroom apartment with balcony and parking lot costs at least £7 million in Belgravia – the most expensive district in London, which has managed to sell more than 26.61% of transactions above £10 million. The average price of London real estate in the fashionable areas varies widely. The peak performance falls to Mayfair and Belgravia, as well as Chelsea and Knightsbridge. Approximately 30% more affordable residential apartments are located in the elite areas of Regent Park and Hampstead – the top 10 regions that sold 8.15% and 3.4% of elite property objects the price of which has gone beyond £10 million.